Exactly $219.25. That’s how much I’ve earned in interest on my emergency fund so far this year, at an online bank paying just shy of 1%. On the one hand, it’s more than 200 bucks. On the other, it’s pennies on the dollar, thanks to an era of low interest rates. Low interest rates have been dragging on for almost seven years. That’s long enough to have some people, including me, rethinking the long-held advice that emergency funds shouldn’t be invested because the goal is liquidity, not returns. Is that antiquated, in the age of credit cards? Is the risk of no return greater than the risk of the market, and subsequently my account, bottoming out? “You don’t get a bill for inflation, it doesn’t call you up at the end of the year, you can’t log on to your cash savings account and see that the amount went down,” Egan says. “But part of understanding risk and return is knowing that you are always exposed to risk — and in the case of a cash savings account, your predominant risk is inflation. I’m listening, though with a side of terror. My husband is a freelance writer; he has a steady income but it isn’t a salaried job. He would also tell you that I am, shall we say, a saver by nature. I love having money in the bank; I get a giddy little thrill, Scrooge McDuck-style, every time I make that transfer. So the hair on the back of my neck stands up just thinking about how I’d feel if I lost some of that cash to a market correction. Ed Gjertsen, a financial planner and the current president of the Financial Planning Association, agrees that there’s risk to low interest rates, but that doesn’t change his view that emergency money shouldn’t be invested. “With interest rates at zero-point-who-cares, it is more costly for people to leave money in safe places. You’re just not making a relatively good return on that investment,” says Gjertsen. But you need this money accessible in an emergency, and “by the sheer nature of that it should be safe,” he adds. » Want more options? See our full list of our top picks for best robo-advisors. Everything about an emergency fund is personal. The frequently cited rule of thumb that you should put away three to six months’ worth of expenses is just that; it doesn’t account for how easily you’d be able to get a new job or how many debt obligations you have. And then there’s risk tolerance: Those who panic and raid the account when the market takes a dip will easily cancel out their potential returns. I’m fortunate to have a few credit cards but no actual credit card debt. I can’t think of many scenarios in which I’d actually need quick cash, rather than just quick access to money — aka a credit card — which is significantly different. I could easily put an expense on a credit card, then transfer money from a brokerage account to pay it off. This idea has a notable flaw, however: It assumes the money will always be there and won’t have dried up due to a market crash. Egan’s answer to that: Those who invest their emergency money should overfund the account, depositing 30% more than is needed. If I want $15,000 in an emergency fund, I should invest $19,500. This protects against a market crisis draining the account; the market could dip as much as 30% and I’d still have as much as I need. But that solution has flaws, too. Most people struggle to build even the minimum cash cushion; tacking 30% to that could push the idea out of reach. And I’d argue that extra money would be put to better use in a tax-advantaged account, like a Roth IRA, where it could grow tax-free for retirement. Because a Roth IRA allows contributions to be withdrawn at anytime, it can function as an emergency fund middle ground. When I can’t make a decision, which is admittedly often, I like to split the difference. 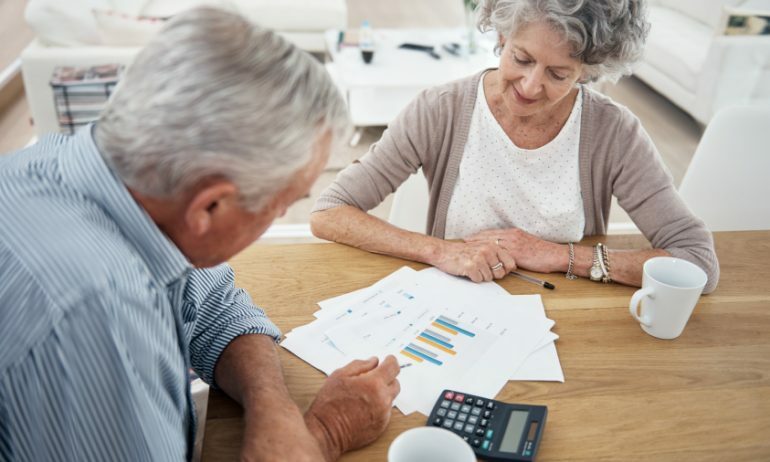 In this case, that would mean keeping some money close at hand in a savings account — one with the best interest rate I can find — and putting some in an investment account allocated fairly conservatively, as Betterment suggests. This hedges against a couple of things. First, it helps ensure I’m getting a decent return on at least some of that cash. And it protects against plain old bad luck: If an emergency happens when the market is down, I can tap the liquid cash first and avoid selling investments at a loss. No return should come at the expense of your peace of mind. I’m middle of the road, risk-wise, which means the compromise above will work for me. I also probably have more put away for an emergency than a financial advisor would suggest I need, as my definition of need skews paranoid. I’ll leave the bulk of that money in my savings account, where I know it’s safe and warm, and invest the bit I’d consider excess. But if you can’t stand the thought of investing even part of your own fund, get the biggest FDIC-insured interest rate you can find and be done with it. After all, there’s one thing on which I think Egan and Gjertsen would agree: Just having an emergency fund is a major step toward financial security. The Future is Uncertain. Save Anyway.